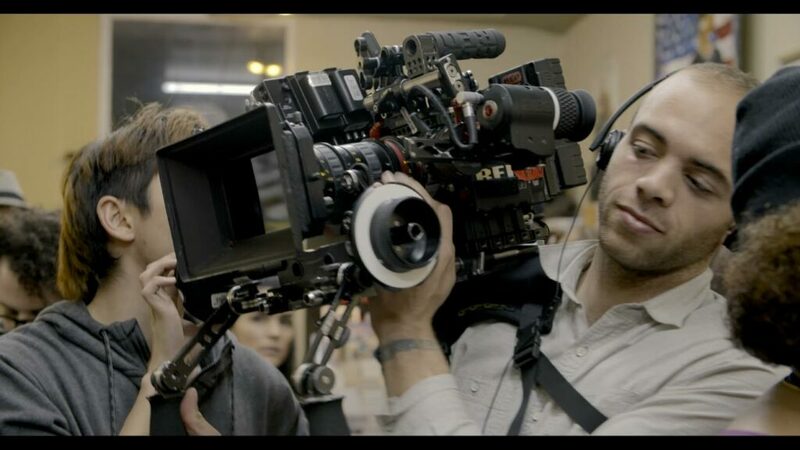 Ellington Tynes is a cinematographer based in Los Angeles, California. As a director of photography he has worked with clients such as HBO, ARTE, PBS SoCal, Billboard’s Wanted Concert series, France 2, and IRL Fr. In recent years he has operated camera on commercial spots for LG, AT&T, Honda, and Genesis. Ellington works with a number of French production companies when they’re on the West Coast and has lensed two documentaries for ARTE Europe’s premiere cultural channel. He is currently in production on a new film with Marc Levin for HBO in northern California, entering a 4th season on the PBS SoCal series “Spotlight Arts” which garnered an Emmy nomination in 2018, and shooting development on projects in the works. Ellington also DP’d three narrative projects in the last two years: Public Relations, a television-drama pilot by Thomas Stewart, and two short films. After moving back and forth between the two ends of the country as a Coast Guard brat, his family settled in Tacoma, Washington in the early 2000s. On a lark one day at age 15 Ellington found a 1940’s Kodak 35mm camera in the basement that belonged to his great grandfather. It seemed like an interesting project, so he learned the ins and outs of spooling the camera, built a darkroom, and began making prints. Seeing his interest and motivation, the photo department let him enroll into their classes and by the end of high school had moved onto large format photography and handmaking glass photographic plates in the technique of the Lumiere brothers’ Autochrome process. In 2009, Ellington’s portfolio and a few competition wins opened the door to a scholarship at Parsons Paris – The New School in France. A year later, after seeing the opportunity to work in a bigger industry and more in collaboration with others, he transferred into the CLCF (Conservatoir Libre du Cinéma Français) and completed their film courses with a Bac +3 (3/Year) degree. In 2012, Ellington began his career in film and television through Royal Studios LA operating camera on Marc Levin’s “Freeway: Crack in the System” – Al’Jazeera America & Netflix. Directly following, he began production on “Rickshaw Wars” – France Télévisions Novelles Ecritures du Réel as the cinematographer and co-director. Since then, he has continued working on numerous projects that have taken him to South Korea filming the US Women’s baseball team at the World Cup; the Florida Everglades on the search for Burmese pythons with a free-handling snake whisperer; and Salt Lake City, Utah for a story on reforming the law on mandatory minimum sentencing, to name a few. As with many Pacific Northwesterners, when Ellington’s not working you’re likely to find him out in the wild either aboard a sailboat trying to nab an elusive tuna or enjoying the California countryside.